I had an allergy test that revealed sensitivities to wheat, dairy, and a whole list of other things. I’ve tried my best to cut them out, but nothing seems to work. Any advice? It’s frustrating dealing with food sensitivities. I know, because I had them too. Every food sensitivity you can think of, I had. Food sensitivities are a function of what’s known as leaky gut. What often happens is Mycoplasma, one of those terrible stealth microbes I talk about elsewhere on the website, invades the villi, the lining of the cells in your stomach. This invasion weakens or destroys your gut’s lining. Then, lectins (the chemicals you find in wheat, beans, and nuts) come along, which further irritate and damage lining, leading to a condition known as leaky gut. So, take all of these substances you eat every day that irritates your gut until they flood across the lining and into the bloodstream. Your body sees these substances as a foreign invader and begins creating antibodies. It’s this reaction that serves as the mechanism behind leaky gut. It’s why so many of us end up with so many different food sensitivities to the things we eat. How do you deal with these sensitivities? Part of it requires a really clean diet. It’s why I lean more toward the Paleo diet, which is a very low lectin diet. A clean diet helps heal the gut. You may also want additional support in healing the gut. Two things I’ve found to be very helpful in this healing process are ginger tea and chlorella. Ginger tea is excellent, but it can cause burning and constipation for some so use it carefully and monitor your reaction. Chlorella, the freshwater algae, is great for the GI tract. The typical maintenance dose for chlorella is 5 to 7.5g total a day. For additional support, you may want to take 10g total a day. But ultimately, you should take the dosage that works best for you and your situation. It can have an incredible effect on your gut. Chlorella has the opposite effect of ginger for some, however, in that it can cause loose stools. Once you heal your gut and get that barrier intact, substances such as lectins can’t cross anymore. Gradually, those food sensitivities should subside or disappear entirely. I still have some reactions from time to time, but the range of foods I can eat is much better now than it was ten years ago. Just remember that the damage to your gut didn’t happen overnight. It takes time, the right diet, and supplements that support gut health. Hang in there! 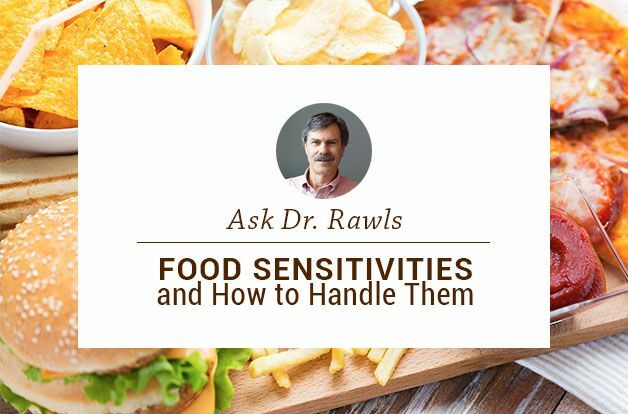 For more about food sensitivities, check out Fibromyalgia and Food Sensitivities.